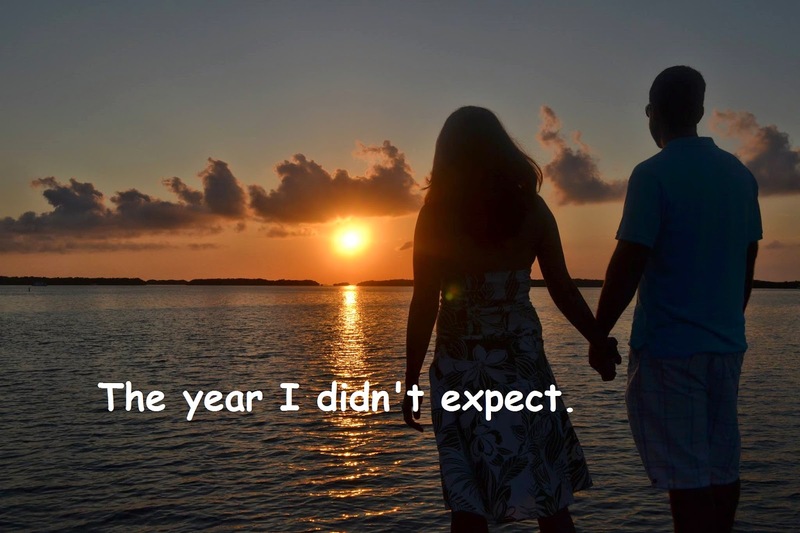 The year I didn’t expect. I have always loved teaching. From playing “school” as a child, to helping friends in math class, I found it very fulfilling. As a high school teacher, I can still remember exactly where I was the first time I heard from a parent that his daughter “got” and truly enjoyed math for the first time in her life. What a high! Yes, the privilege of introducing information that can affect someone for the better, this is a passion of mine. Of course, passing on information requires first obtaining it and I love that even more! I am in information junkie! I may have a problem. But I digress. Those two factors, and some prompting from an over zealous friend combined with lots of prayer lead me to start this blog. My initial plan was to relay to you the myriad of scientific, historical and theological evidences which confirm the truths of the gospel. However shortly after starting this blog, God turned me in another direction, or so it seemed. He showed me my deep need for accountability in Bible study and I committed to working through I Samuel, in front of the internet. This terrified me, which of course confirmed that I needed to do it. This was about a year ago. But I have to tell you, it wasn’t long before I looked up to heaven and said “I see what you did there.” You see our sovereign Creator saw the year at a glance. And He knew just what I would need, and it wasn’t necessarily statistics, carbon dating facts, or archeological information. While all of that is good, and by good I mean, really, really good, God, in His sovereign wisdom, knew that this year, what I needed more thaninformation, I would need inspiration. He knew that the biggest proof I could receive of His existence was for me to be assured of His presence. He knew that the point of this blog was not so much to share what I had learned, but for me to learn what He had shared. And what I found this year I may never have truly grasped as deeply if it wasn’t for you! Here’s what I mean. The very first Devo blog I put out there I got a response from someone I never would have expected. We “knew” each other years ago and now have the typical Facebook “friendship.” At the end of that first blog I had asked you, the reader, what you could relate to or learn from the passage. No one commented on the blog. Par for the new blogger course, not unusual. But what was unusual was this private message I received. What she shared with me was so drastically different then what I had seen in that passage,yet so good- and also deeply personal. I felt unbelievably honored that she would share this with me, and profoundly grateful that I could learn this from her. This had been my goal from the start: to inspire each other and learn from one another. Still, I couldn’t believe that with this first step of faith God had allowed me such immediate inspiration. Obedience doesn’t always produce fruit right away, so when it does, it is almost ……surprising. Yes, that would be the word to pretty much sum up this year. I was surprised by the blessings I received, knowing they are undeserved. Yet I was equally surprised by the heart wrenching devastation we experienced as sin and sickness left its nasty mark. I didn’t expect this year. I didn’t expect some of my casual friends to develop into soul sharing sisters that I would cry with. But I also didn’t expect distance from those I assumed would be there for comfort. I didn’t expect to be this busy or feel this fulfilled. I didn’t expect to go from a mechanics wife to a pastors wife in a weekend, leaving all that was familiar.. He knew I would need my head and heart to be stuck in the Word like never before. He knew I would feel confused, hopeless, and just sad at times. Yet He also knew that His word could provide life, encouragement, truth and perspective. And YOU helped me see that. When you saw me in the hall at church, and mentioned a lesson in Samuel I had blogged about I felt listened to. When you commented, liked or shared a post I felt community. When you texted, prayed, and inquired, I felt loved. I learned to slow down, press in and get back to the basics of my faith. Regardless of what I saw, regardless of what I felt, regardless of each situation, His word never changed. It doesn’t return void, and He watches over it to perform it. In ever shifting sands, with ever changing opinions, philosophies, and prerogatives, He is the same yesterday, today and forever. There is no greater apologist than his Word. Taste and see. Try Him now. Because He is El Roi, the God who sees. He saw that I was going to face angry opposition in a way totally unfamiliar to me so he prepared me in the psalms. He knew we would experience the affects of infidelity with so many we loved so he warned me to keep watch over our house. He knew that my family would experience loss over and over again, so he reminded me of the need to mourn. He knew I would feel frustration over the state of our country so he reminded me that He is in control. He knew we would be entering a brand new season, so He showed me the importance of being Paul’s armor bearer. Most of these lessons came before the events occurred and had I not put the words out on this blog, I may have missed them altogether. This is our God, and this is the power of His word and the power of community. Friends, there is a movement to discount the word. Famous “Chrisitan” bloggers elevate opinion over truth, claim culture trumps Gods commands, but do not be swayed. If you have strayed from this foundation, it is so simple to return. I was not perfect in my studies. There were too many days where I surely missed the mark. But in my weakness, He shows himself strong. This is not a magic formula. Studying your Bible does not make your day easier, grant you instant patience, or map out daily decisions. You may feel nothing or experience dry seasons. But it will anchor you in the storm, grant you wisdom in this world and open the pathway for peace like nothing else can, especially when you write it down- and share it with friend. This is also not a guilt trip or a legalistic pursuit to pressure you into Bible study so you can show God and your friends how much you love Him. No. This is a reminder that when you give yourself to the study of God’s word he will show you how much He loves you!! This is also the biggest most heartfelt thank you. Thank you for joining me. With 159 million blogs out there, you read mine, and our hearts have been knit together. And know this. I am praying for your 2015 because God knows. And He is not surprised. Let Him prepare you and lead you with the washing of His Word as He leads you through 2015. Think about this past 2014. Scan your journal, your church notes, your facebook…. something… Find a moment where you saw God move and share in the comments. You know you want to! Commenting is fun! Right Elizabeth Alfieri? ← Last night we went caroling, but you’ll never believe what happened next!! Commenting is as fun as goosebumps and I just got goosebumps! I love goosebumps! So…bumpy! Your blog has challenged me to shut my mouth, tame my #)$(@ tongue, and trust God in all my crustiness. (Is that a Word Crime?) Frankly, in the craziness of my year, your blog was at times the only consistent devotion in my life. (No pressure there, Lauren, but you are a pastor's wife now, so stay consistent, OK?.) And as I start off the year, I am reminded of a verse from Psalms that you illuminated in a December blog; my 2015 verse “…His gentleness has made me great.” And your friendship has made me hope I can get there. And He has given you all the tools you need to keep running the race!!! Thanks for sharing. Once again, an awesome blog! Thank you, Lauren, for all that you share & encourage others with. You are a blessing! Lauren, you have such a profound way with words. Thank you for taking your time (not that you have any!) and sharing your faith, your knowledge and your encouragement with me. I love you!! Oh man, keeping in theme with this post, there you go surprising me! Expecting to read your comment and laugh out loud, you had me cryin' instead!! Love you! Thanks Renita! I am so blessed by YOU! Thank YOU for always reading my lengthy posts, like every single post! And encouraging me so consistently. I really do have the best mother in law in THE world love you! !